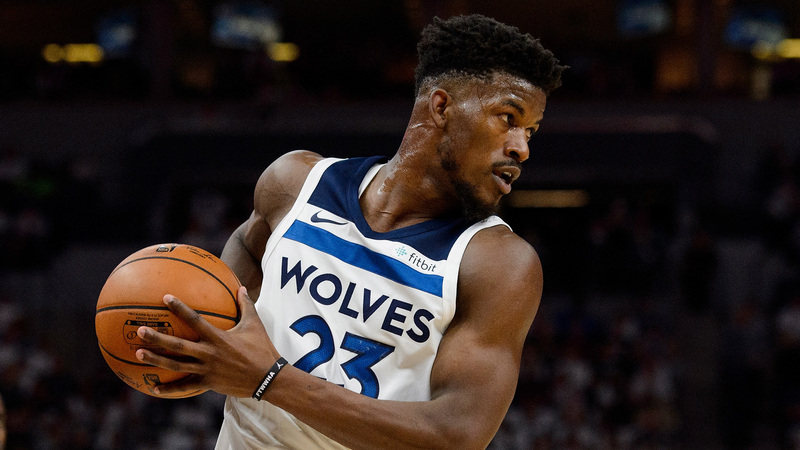 The Timberwolves and Heat nearly got a deal done for Jimmy Butler this week. According to the NY Times, Minnesota and Miami were making progress on a trade for the four-time All-Star, but the Timberwolves came back with additions to the deal and the Heat nixed it. It was also reported earlier this week the Timberwolves’ asking price for Butler was “too steep” for the Heat. Butler’s team reportedly prefers he go to Miami, but several other teams have been trying to orchestrate a trade for the former Bulls forward. The Rockets and Suns have been active in talks, while the Clippers and Nets have not made much progress. Butler originally listed the latter two teams as preferred destinations. The 29-year-old averaged 22.2 points, 5.3 rebounds and 4.9 assists in his first season with the Timberwolves last year. Minnesota acquired him from the Bulls in a draft-day trade.